For many, just bringing up the subject is a difficult, tense endeavor: how can you make sure you’re financially protected during marriage while not destroying the romantic sentiment between you and your partner? However, although it’s not always easy, it’s vitally important: for the sake of your finances, you need to draft an agreement that guarantees your protection in the event of divorce. In fact, some business folks liken them to professional shareholder contracts: both force the parties involved to contemplate and discuss various potential scenarios ahead of time and make sure you are on the same page regarding a mutual understanding. If/when there is a point of contention, you both have a document available for reference. In this sense, these agreements can foster honesty, communication, patience, and trust. In addition, it can significantly decrease legal costs upon divorce. Specifying children’s rights: A prenup can prevent strife and fighting between your partner and kids by defining gifts from the outset. In addition, certain high liability professionals (such as attorneys or doctors) may choose to set up a Domestic Asset Protection Trust as an add-on (or form of) prenuptial to ensure that their assets are protected from creditors and lawsuits. Start a Roth Individual Retirement Account (IRA). Even though divorce can be difficult, the financial decisions you make with your attorney will have a profound effect on important areas in your life, such as retirement. 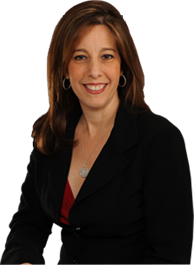 To learn more about drafting contracts to protect yourself during marriage, contact the law office of Sandra Bonfiglio, P.A. in Florida. We will help guide you through staying protected while maintaining the strength of your relationship with your loved one.